The warming water is pushing the trout bite west and south into deeper water. 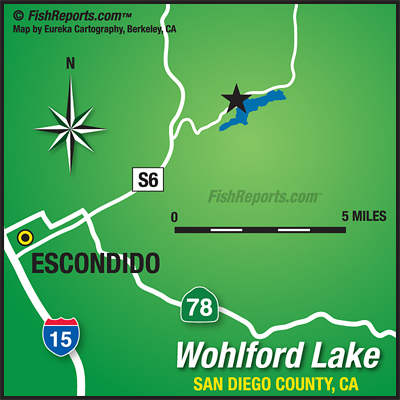 Big fish of the week belonged to Denny Vath of Escondido and weighed 8.40#s. 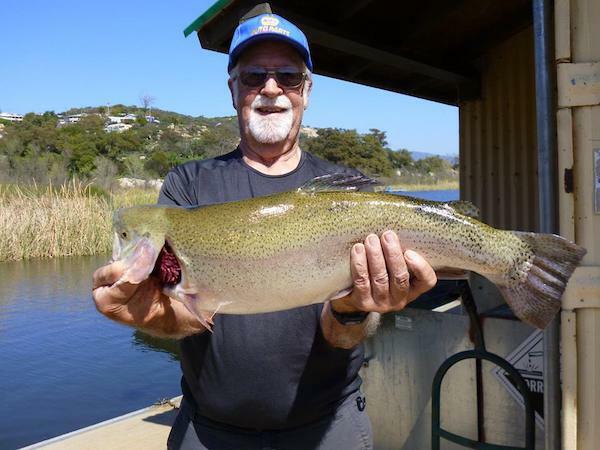 Mr. Vath's trout was caught on green powerbait at the South Shore Rock Pile. Other notable catches included; Michael Kutz's 8.00#, Thanh Nguyen's 7.10#, and Nicholas Herzog's 6.20# trout. Small to medium sized bass are being reported. Michael Goward of Oceanside caught and released a 7.10# bass using a plastic worm in Boat Dock Cove. Largemouth Bass can be found around structure and respond well to crawdads, frog poppers, and dark colored plastics. Crappie are moving in tight to shore and are being caught on jigs and live Golden Shiners along the southern shore. The first catfish plant of the season is scheduled for May 10th. Catfish can be found throughout the lake and bite well on cut mackerel or chicken liver, as well as dough-bait.